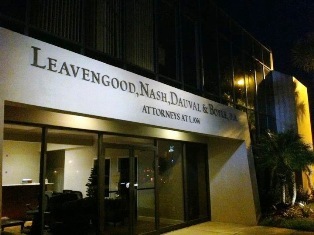 On December 2, 2011, after months of hard work by both renovation professionals and the firm’s partners, Leavengood, Dauval & Boyle, P.A. moved into its new home at 3900 First Street North, in St. Petersburg. After 3 months of renovation, the former Landmark Trust Bank building has never looked better!